Backup refers to the process of storing up data to prevent loss. It also involves setting up systems that allow for easy data recovery as a result of data loss. Backing up files needs copying and storing data. You will always attach a password to when creating your iPhone backup. What if you forgot the password, and this is where iPhone backup password recovery comes in. Below are three ways to recover iPhone backup password. 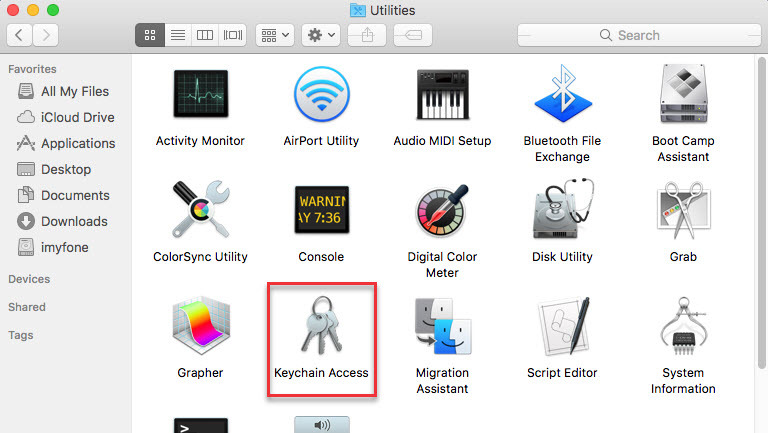 Solution 2 – How to Recover iPhone Backup Password with Keychain on Mac? 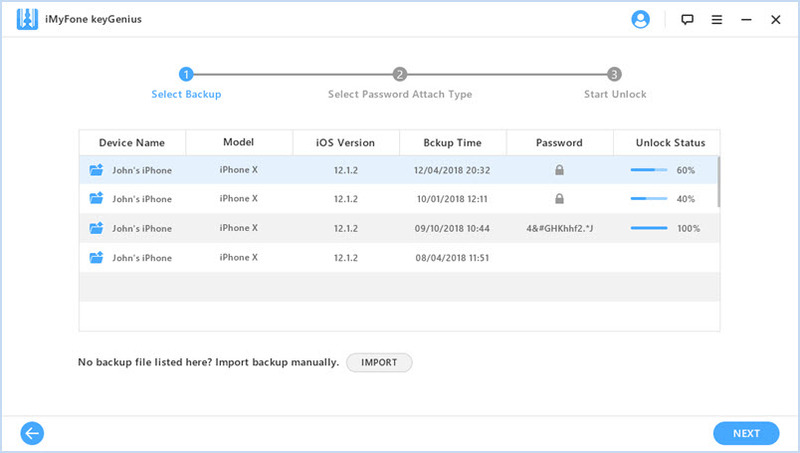 Solution 3 – How to Reset iPhone Backup Password? In a situation where you lose your password, there is an available solution. And that's through the use of KeyGenuis. So what's KeyGenuis? KeyGenius is one of the best iPhone Backup password recovery tools. It helps you access your files from encrypted backups without password. Also, KeyGenuis have the ability to remove the encryption on your iPhone. 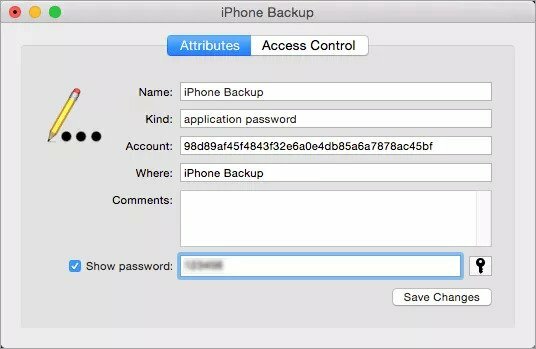 Recovering iPhone backup password easily when you don’t remember yours. Removing backup encryption settings and you can use a new backup password. 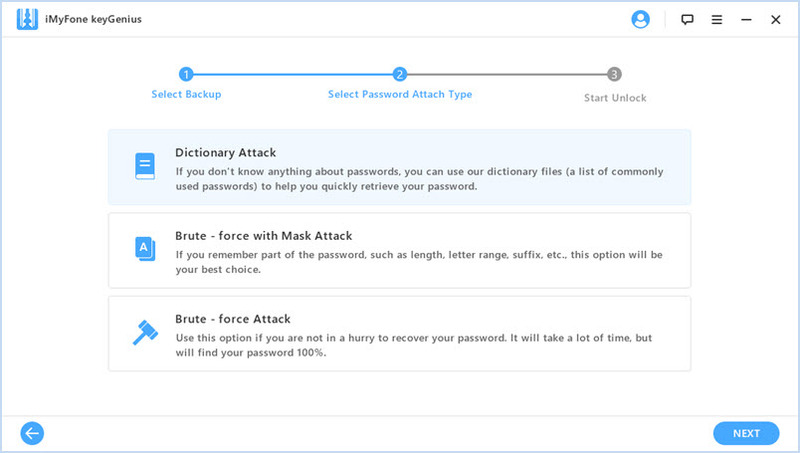 3 powerful attack methods are provided when you have different password combination. KeyGenius is highly effective for all versions of iTunes with 100% success guaranteed for every iPhone backup unlock. Step 1: Launch KeyGenius and choose "Unlock iTunes Backup" mode. Step 2: Select the encrypted iTunes backup file from the list. Also, you can import it into this program from your computer. Step 3: Choose the right attack method from the three. But ensure that it's in line with your recovery situation. Step 4: Select "Start" to remove or recover the password from the encrypted backup files. How to Recover iPhone Backup Password with Keychain on Mac? It's normal for people to forget their passwords. After all, tech-savvy phone users forget theirs too. But Mac has made it easy to retrieve a lost or forgotten password safely. 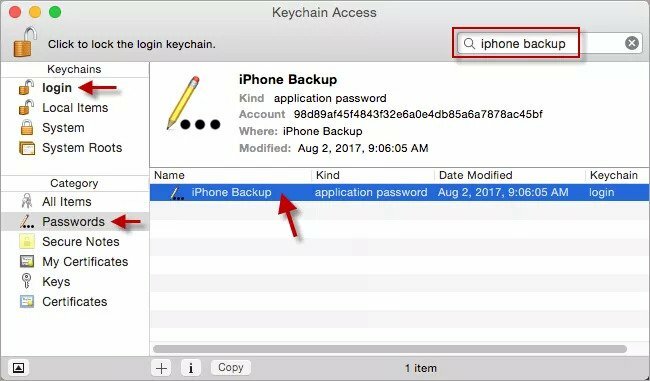 I'll show how to recover your lost iPhone backup password on with Keychain Access on Mac. Select Finder on your Mac. Click on "Applications” and select “Utilities”. Next, Open the “Keychain Access” app. After opening the application, tap the "All Items” on the left area. In the search field, type “iPhone Backup” and then click it twice from the result list. If you can't find your iPhone Backup in the result list, which means the password isn't in the Keychain. Then select the “Show Password” checkbox. Type your Keychain password. It's your default Mac user. Next, select “Allow”. After doing that, the iPhone Backup password will be displayed. How to Reset iPhone Backup Password? 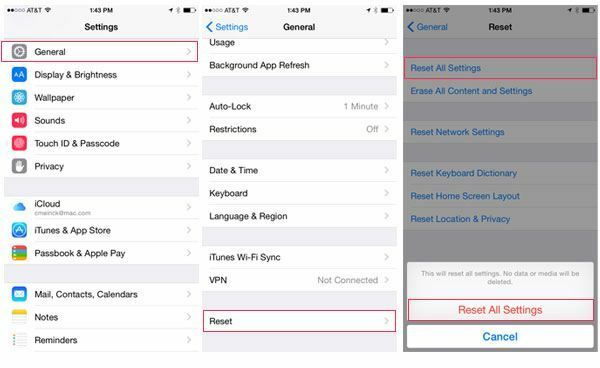 On your iPhone device, click on Settings, select “General” and click “Reset”. Click “Reset All Settings” and type the iOS passcode. Click “Enter”. 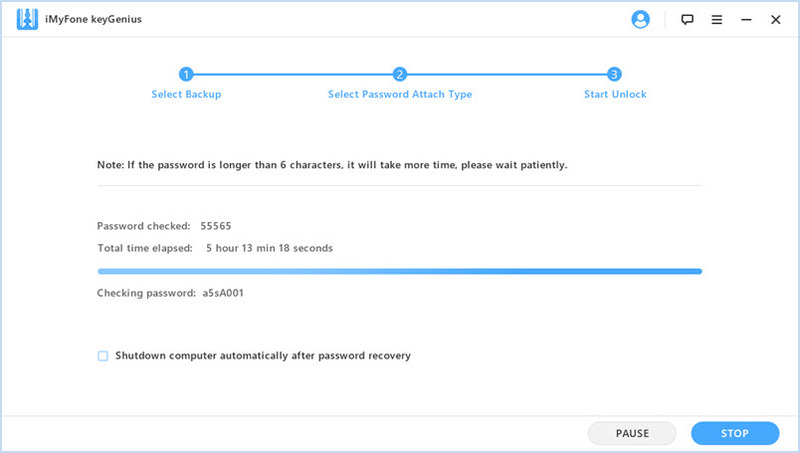 After resetting, you can only create a new encrypted backup of your iPhone by a new password. 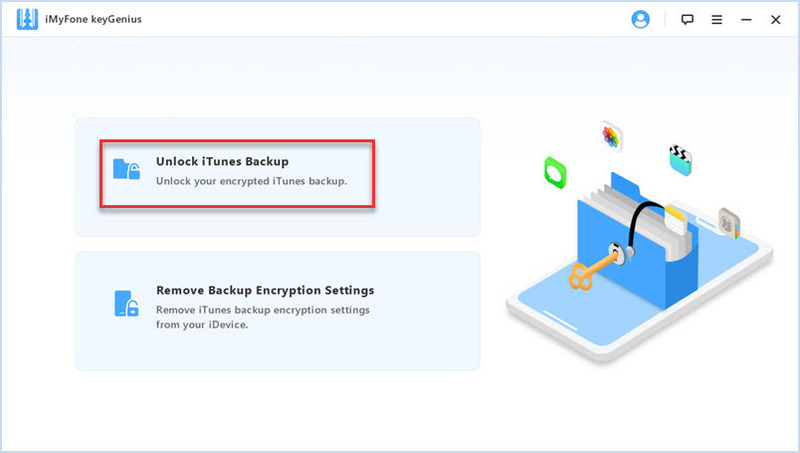 Note: This method can only help you create a new encrypted backup without password, you can’t recover any of your old backups and the data they contain. That’s all for iPhone backup password recovery, if you can recall your backup password, then it's easy. The best way to recover it is using KeyGenius to find it back. It’s easy to use and won’t affect the backup data. Hope the solutions in this guide helps you. If you have any thoughts, welcome to share with us.